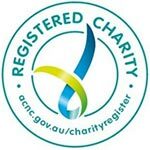 The Company has been established to be a charity whose public charitable purpose is to advance health through assisting in furthering the objects of Australasian Society for Ultrasound in Medicine. Specifically, the Company’s principal activity and purpose will be the promotion, prevention and control of diseases in people through advancing the clinical use of medical diagnostic ultrasound primarily in rural and remote regions of Australia, and international communities including New Zealand as the directors may see fit, to improve patient health and care in disadvantaged and low socio-economic communities with the assistance of our ISUOG and WFUMB affiliates, as well as like-minded partners such as Radiology Across Borders (RAB). ASUM is the Australasian representative of ISUOG – International Society of Ultrasound in Obstetrics and Gynaecology and WFUMB – the World Federation of Ultrasound in Medicine & Biology. 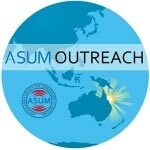 If you are interested in volunteering your time and assisting with any of our OUTREACH projects please email outreach@asum.com.au providing your full name, specialty, duration and area you’re interested in supporting and we will contact you.